Artichokes are a little complicated to eat, but simple to cook. Artichokes are members of the thistle family, which explains their odd and prickly appearance. Cooking fresh artichokes on the stove requires a little preparation, but no more or less than for any vegetable that you cannot eat with its peel intact. Boiling whole artichokes or steaming them brings out their natural flavor and tenderness without adding fat or calories. However, cooking fresh artichokes does take some time, so plan ahead. Rinse your artichoke thoroughly in cool water, and pat it just dry enough to keep it from being slippery when you’re handling it. Pull off the outermost layer of leaves. These would be tough to eat even after cooking. Slice the stem off as close to the body of the artichoke as you can get. 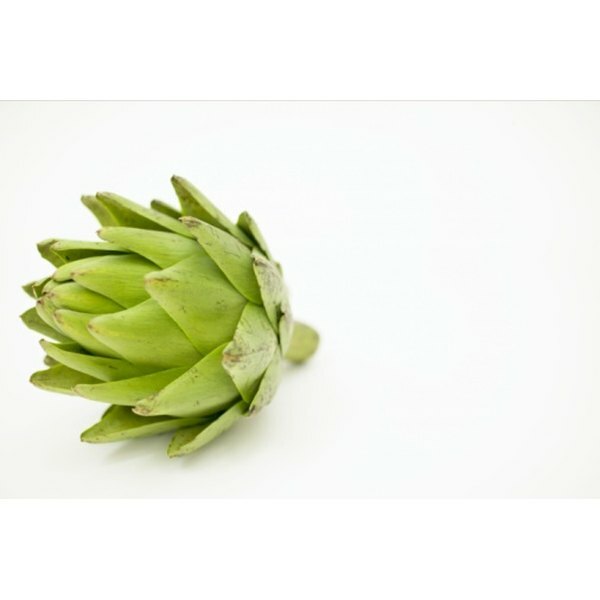 Make the cut as straight as possible so that the artichoke will sit steadily upright on a plate once it is cooked. 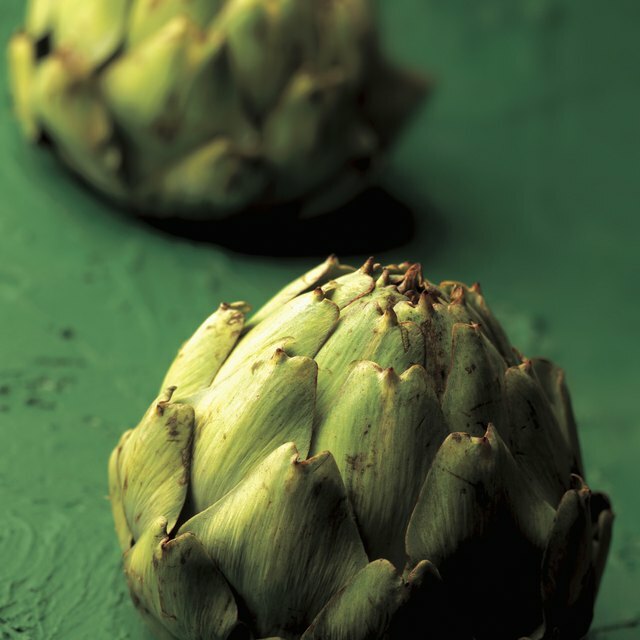 Set a pot large enough to completely enclose the artichoke on the stove, and fill it with an inch or two of water. You don’t want to completely immerse the artichoke, just have enough water in the bottom to make steam. Place a steamer basket or rack above the water if you’d like, though it makes no difference to the end result. Place the artichoke right side up in the center of the pot or the steamer. Sprinkle it with lemon juice and herbs for a little extra flavor. Bring the water to a boil, lower it to a simmer and cover the pot. Let the artichoke steam for 30 to 45 minutes, checking every once in awhile to make sure the water has not all boiled away and adding more if necessary. Check to see if the artichoke is done by tugging gently on the inner leaves. If they resist being pulled loose, cook the artichoke in 10 minute increments until they separate easily. Set the artichoke upside down in a colander for a few minutes to drain. Slice the barbed tips off the artichoke leaves in straight, even lines before cooking it to make it look more attractive and a little less prickly to eat. Do not eat artichokes without cooking them.